Around the world in 80 waffles! 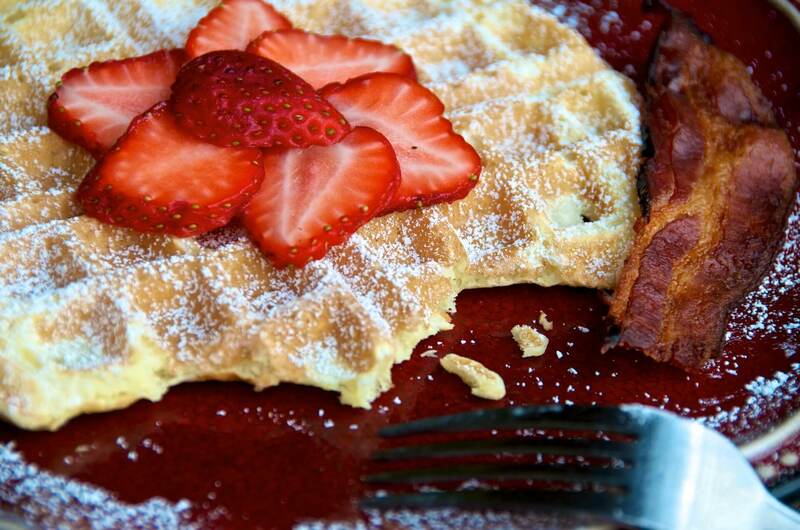 You are here: Home / Belgian Waffle Recipes Blog / Around the world in 80 waffles! 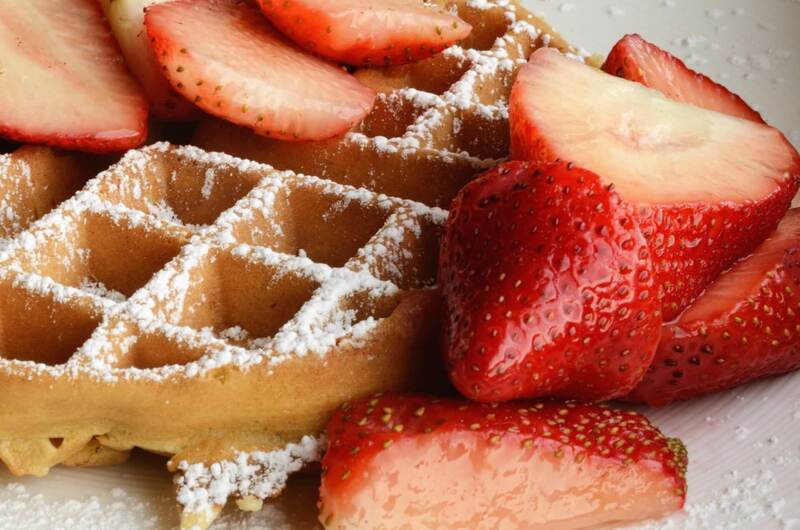 Belgian waffles are enjoyed by people all over the US, Canada, the UK and Europe and each region has its own favorite toppings and variations. 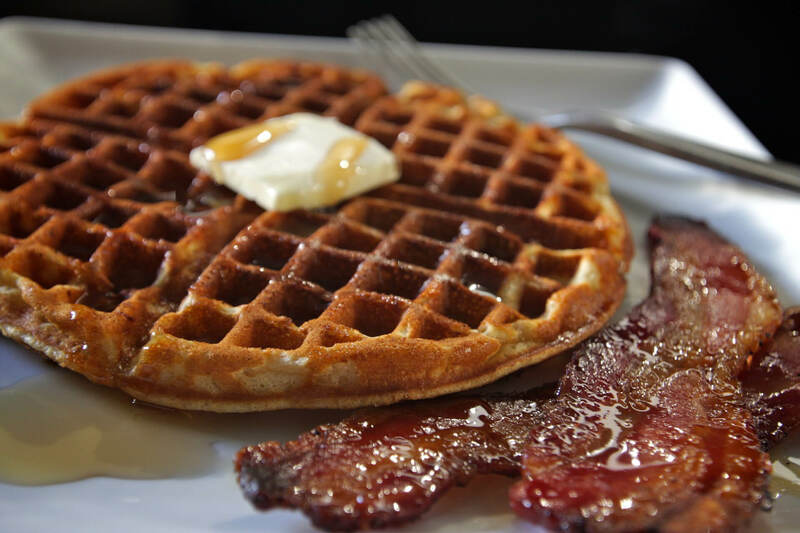 Have you ever wondered who came up with the terrific idea to drizzle maple syrup on to light, fluffy Belgian waffles? Or where they were first teamed with chicken or bacon? Why are sweet toppings more popular in some parts of the world, and why would you never pour gravy on to delicious Belgian Waffles in Belgium? Read on to discover some of the exciting facts behind the tastiest toppings and do feel free to comment if you have a particular pairing that fellow fans would love to hear about. The winning combination of Belgian waffles and maple syrup is said to have begun in the US in 1789 when Thomas Jefferson returned to the US at the start of the French Revolution. The former Minister to France brought back a waffle iron, and began a new fashion for waffle parties or ‘waffle frolics’. The favored way to enjoy Belgian waffles at these gatherings was with a sweet topping of maple syrup which was easily available in the northern states like Vermont where maple trees grow abundantly, or with a savory kidney stew topping. It’s perhaps understandable that it was maple syrup that won the battle of those toppings, and by the 1800’s you could by waffles topped with maple syrup from vendors on city streets all over the US. In 1869 Cornelius Swarthout of New York patented his waffle iron on August 24th and its anniversary is still celebrated each year as National Waffle Day. What came first the chicken or the maple? Uncanny as it may seem, maple syrup is one of the vital ingredients needed to get that truly authentic soul food taste. Chicken and waffles is one of the most exciting trends to have swept the US, Canada and the UK in recent years, and you can learn more by taking a look at our great ‘Chicken and Waffles’ feature. 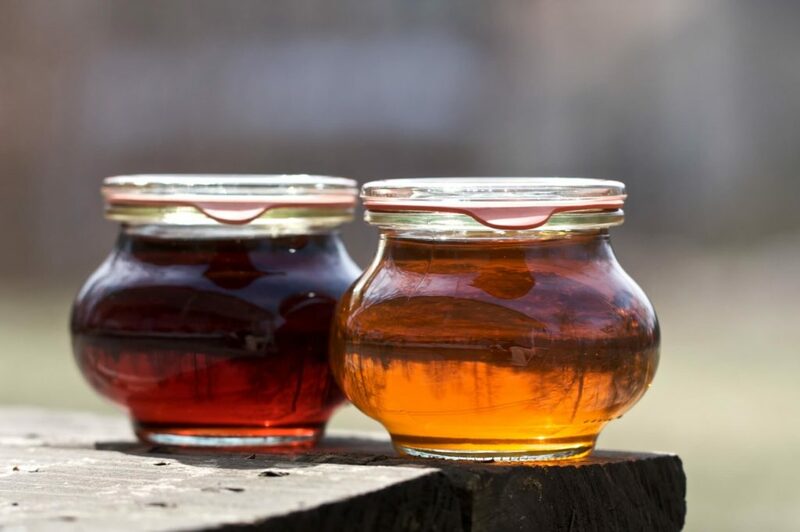 Uncanny as it may seem, maple syrup is one of the vital ingredients needed to get that truly authentic soul food taste when referring to those southern style treats. Although there are different variations on chicken and waffles, the most popular and best traveled is the ‘southern fried soul food’ style that originated in the US. Slaves on southern plantations often got any leftover waffles from those ‘frolics’ we mentioned above, and they soon made them the basis of this much loved dish. Crispy southern fried chicken, maple syrup and gravy is more popular than ever today. In some northern states you’ll find the Pennsylvania Dutch style where waffles are served with pulled or stewed chicken and gravy, and they’re incredibly tasty too. 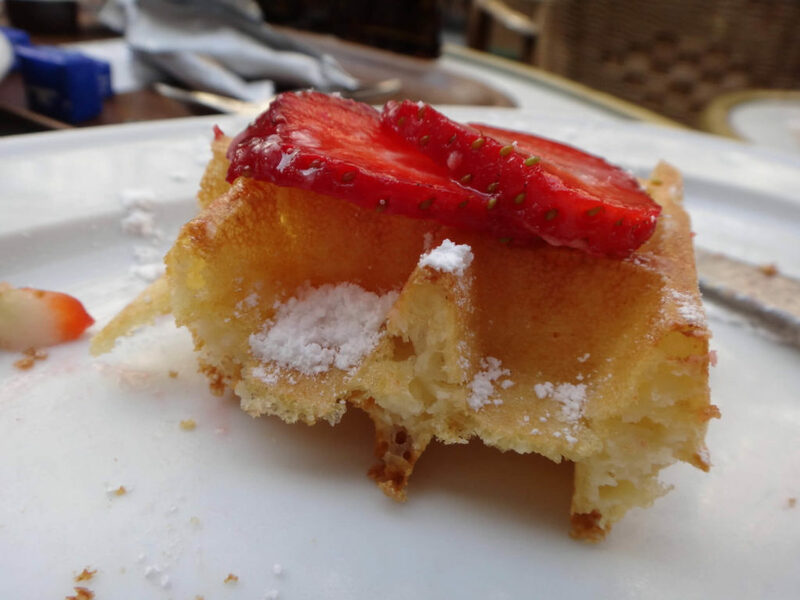 Butter is one of the first toppings that was used to make Belgian waffles even tastier. Simple and effective, there’s not much that can beat freshly baked Belgian waffles with melted butter. Of course, this standard pairing is also enjoyed with maple syrup! The Ancient Greeks made a type of waffle that they called ‘obleios’ back in 1100BC and they were flavored with cheese and herbs. They were probably one of the first savory waffles to be eaten, though today we rely on toppings to make our favorite combinations. Bacon is one of the best loved toppings, and along with eggs you can use it to create those delicious breakfast burgers that the whole family loves. Adding extra toppings will make your Belgian waffles with bacon even more delicious, and again maple syrup heightens the taste factor. Add tomatoes and mushrooms, or cheese and onion to your Belgian waffles with bacon and enjoy a classic combination that has stood the test of time. In Europe sweet toppings are more common than savory, with the exception of the chicken and waffles craze that has swept the civilized world. In Europe sweet toppings are more common that savory, with the exception of the chicken and waffles craze that has swept the civilized world. However, gravy with Belgian waffles is frowned upon in Belgium, and as the creators of one of the best sweet toppings who can blame them? Of course that would be Belgian chocolate, and when teamed with vanilla ice-cream it turns Belgian waffles into a sophisticated and stylish dish that can be enjoyed at any time of year. Blueberry and strawberry toppings are also popular, but you can choose any fruit you like and they all work really well with melted Belgian chocolate. Whipped cream has long enjoyed a successful partnership with Belgian waffles, and you can add fruit and chopped nuts as you wish, but don’t forget to make it even more sensational with one of our very favorite ingredients, a splash of maple syrup! Be sure to let us know what you think is the best Belgian waffle topping of all time!